We received an urgent call from a homeowner in Mendham, NJ that her roof, which was only installed two years ago, was leaking. We asked why she didn’t contact the original contractor, all she said was that we came highly recommended by a close family friend. 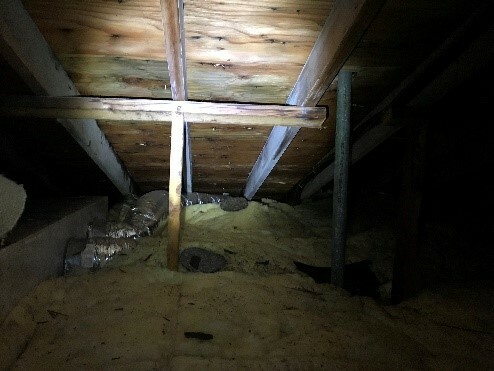 Upon inspection of her attic we observed several leaks, plywood that was compromised, and inadequate ventilation. The exterior roof even worse, the valleys were installed backwards, allowing water to go under the shingles, opposed to over. 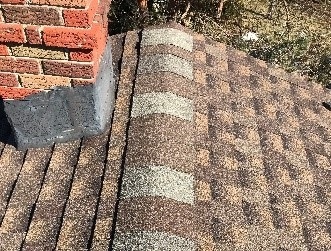 The cap shingles used didn’t match, apparently the roofing contractor used whatever leftover caps they had lying around. The chimney flashing was just tar instead of proper metal flashing, and counter flashing. The ice and water shield wasn’t installed to code, and there was evidence of “high nailing” everywhere. Unfortunately there no way to repair the roof and it needed to be torn off and fully replaced. K & B Home Remodelers removed the shingles and underlayments, then replaced several pieces of sheathing with exterior grade ½ inch CDX plywood. Next aluminum drip edge was installed to all the eaves, then Atlas Weather Master Ice & Water Shield, Atlas Summit 60 Synthetic Underlayment, Atlas Pro-Cut Starter Row, Ridge Vent, Ultimate Pipe Flashing Vents, and Atlas Pinnacle Pristine Roof Shingles with Scotchgard. K & B Home Remodelers then opened up her soffits and installed new InvisVent Soffit System creating the needed air intake. Now this Mendham New Jersey homeowner has a roof built to last with a 50 Year Warranty, with Scotchgard Protection that will prevent roof algae from forming. Need a roof, windows or siding? Call Michael at K & B home remodelers in Randolph, NJ. Be assured K & B is not your ordinary nail and hammer company. They are skilled in the use of computer technology to show you exactly what’s in need of repair. 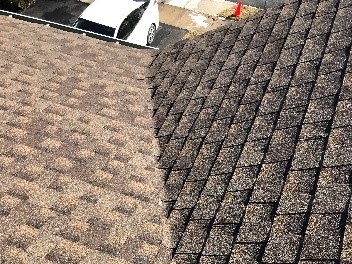 They rebuilt our entire roof with the latest in supplies and best in skilled workmanship. Do yourself a favor and call K & B Home Remodelers in Randolph, New Jersey.